What do I know? Get objective awareness of the subjects in which I have deeper knowledge. This would enable to identify own’s area of expertise. E.g. Do I know more about History or Science? Do I know more about Biology or Physics? What do I don’t know? Get awareness of the subjects in which I have very little knowledge. This would enable to discover further subjects to explore. E.g. «Baseball in US» is a large subject with tons of data and trivia of which I’m completely unaware (and will keep it so). Do I know more about a subject than any other particular person? Objectively compare the knowledge of two different persons using a randomly generated quiz. Which books or sources can expand my knowledge? Whenever I read a book, I need it to be not too trivial (if I already know most of its content) and not too technical (if I lack the basis to understand large portions). 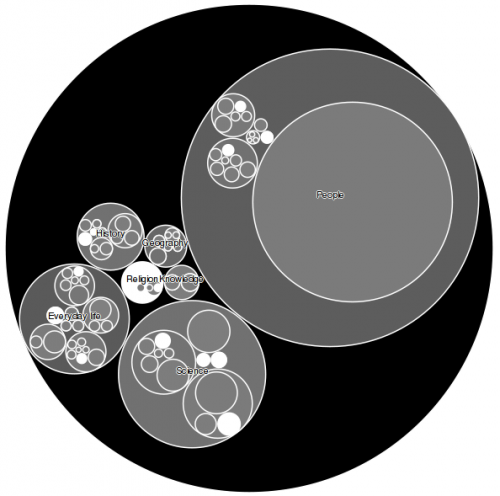 By generating the KnowledgeMap of a certain book and overlapping with own’s KnowledgeMap, it would be possible to determine whether the book fits to my own knowledge boundaries and may help to expand it, without losing interest midway. The name «KnowledgeMap» tries to use the metaphor of a cartographic map. If we represent all the different areas of knowledge as a bidimensional map, there will be shadowy unknown areas (fog of war) representing «ignorance» and some bright zones representing «knowledge». The first problem arises: what is «all knowledge»? For this purpose, we may use a simplified approach by saying: Wikipedia. We take «Articles» as the top category and everything follows a hierarchy downwards from there. We only take the shortest path within Wikipedia Categories from an certain article to that top category «Articles«. 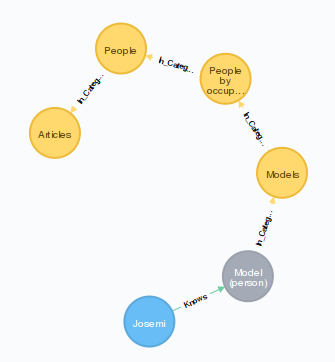 We take a Wikipedia dump and upload to a graph database. 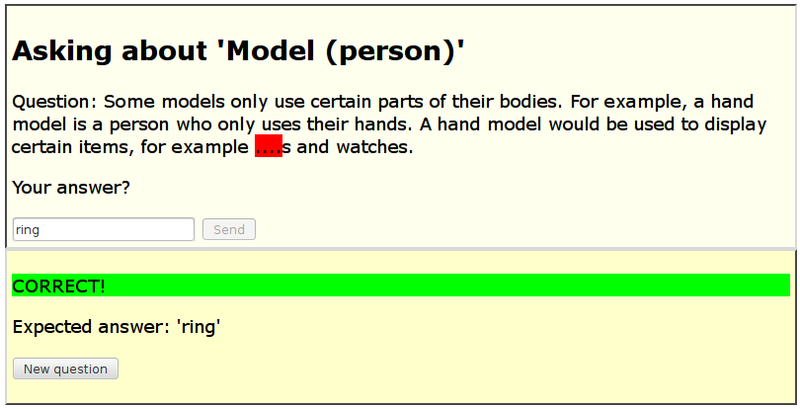 We generate quiz questions from Wikipedia articles. The user answers those questions, with either a positive or negative result. Parent categories (following the shortest path to Wikipedia category «Articles») inherit those results. 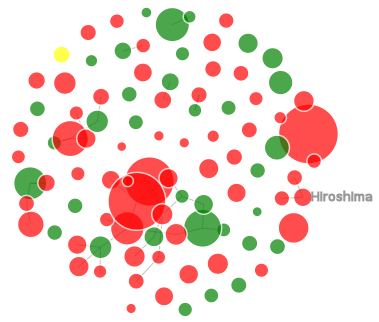 The system generates a hierarchical heat-map visualization, with white areas representing known categories and black areas representing unknown categories. To sum up: with this approach, by now we may be able to answer previous question 1 («what do I know?«), but not the rest yet. As the old saying goes, now at least I know that I know nothing. The complete source code and build instruction are available at my GitHub.